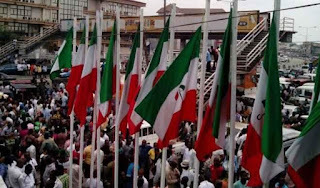 The Peoples Democratic Party (PDP) in Kano state has promised to invoke appropriate constitutional provisions to go ahead with its planned political rally scheduled to hold today in Gaya town, Gaya local government area of the state. Addressing a press confernce on Friday in Kano, the PDP Chairman in the state, Senator Mas'ud El-Jibril Doguwa, said if government forces them to stop, PDP would take legal action. Doguwa said, "If government through political repression forces us to stop, as law abiding citizens and as law abiding political party, PDP will have the option of appropriate legal resources." Daily Trust on Saturday observed that the PDP scheduled a political rally today to receive a Gubernatorial candidate of the PDM in the last general election, Engineer Bashir Ishaq Bashir, his entire campaign structure and majority leaders of the PDM with large contingent of APC supporters into the PDP in Gaya local government. According to Doguwa, the PDP had notified the police and other security agencies about its planned rally weeks ago, but the police had on Thursday wrote to the party, urging it to shelve the rally over alleged security challenges. "We discovered that that it was the APC government in Kano state, threatened and scared by what they saw as PDP rising profile in Nigeria and indeed Kano state, decided to give us the Kwankwasiyya treatment. "We want remind the police commissioner that he and his office belong to Nigerians not just to the APC. We in the PDP are thoroughly disappointed that he (police commissioner) is losing track by turning himself into an APC boy, a ready instrument that can be used at will by the failing APC government in Kano. "The Constitution of the Federal Republic of Nigeria in section 40 and 41 (1) and (2)A has guaranteed every Nigerians freedom of assembly and association with other persons and or belonging to any political party of his/her choice...," he said. When contacted, the Police Public Relations Officer, SP Magaji Musa Majia, said the PDP rally was suspended because it coincided with security agencies joint operation scheduled to hold today around Wudil area. Majia said, "We suspended all political rally in the area. The APC Chairman in Gaya local government, Alhaji Sani Abubakar and his PDP counterpart, Alhaji Ibrahim Ahmed Jobe have been notified by the police. They will re-apply after our operation and I can assure you, we will give them permission."